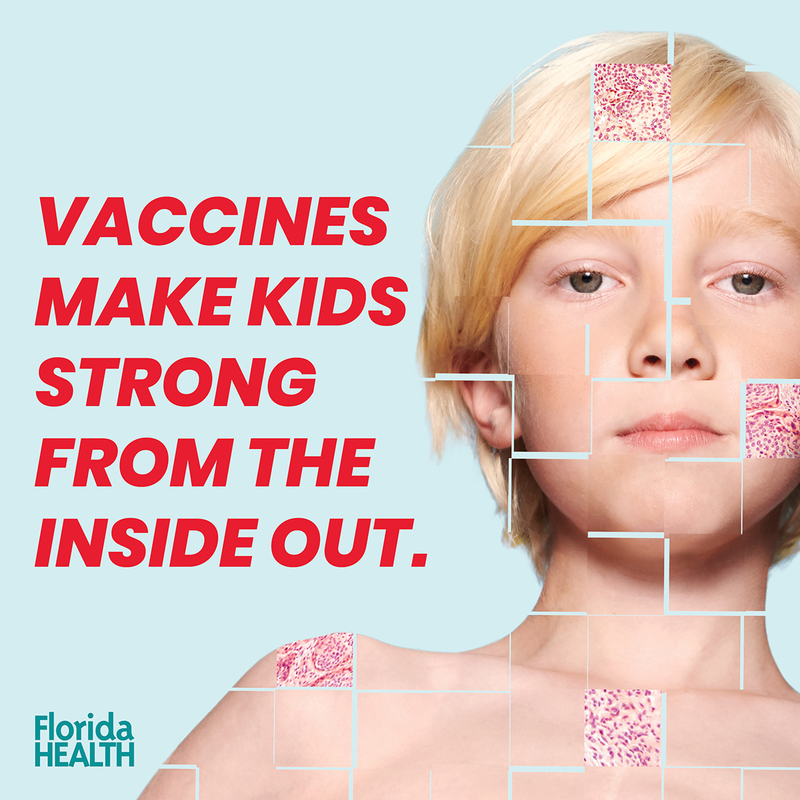 Due to anti-vaccine misinformation and the fact that many vaccine-preventable diseases are nearly wiped out, more people feel that vaccines aren't necessary. 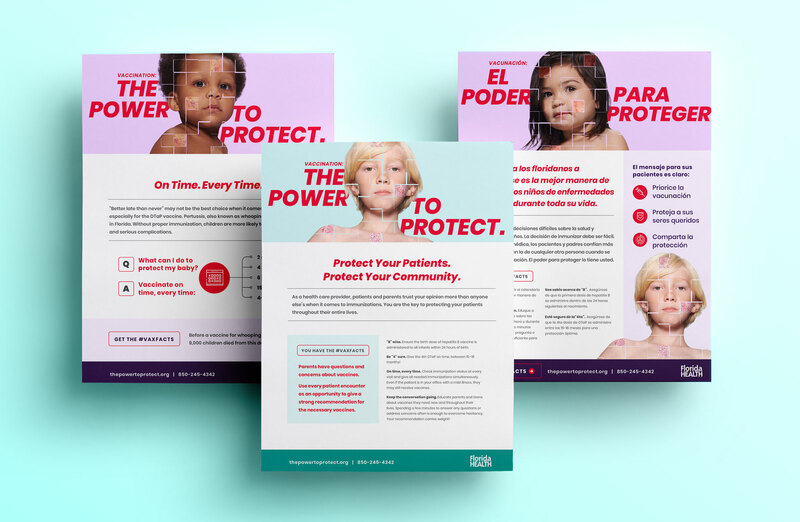 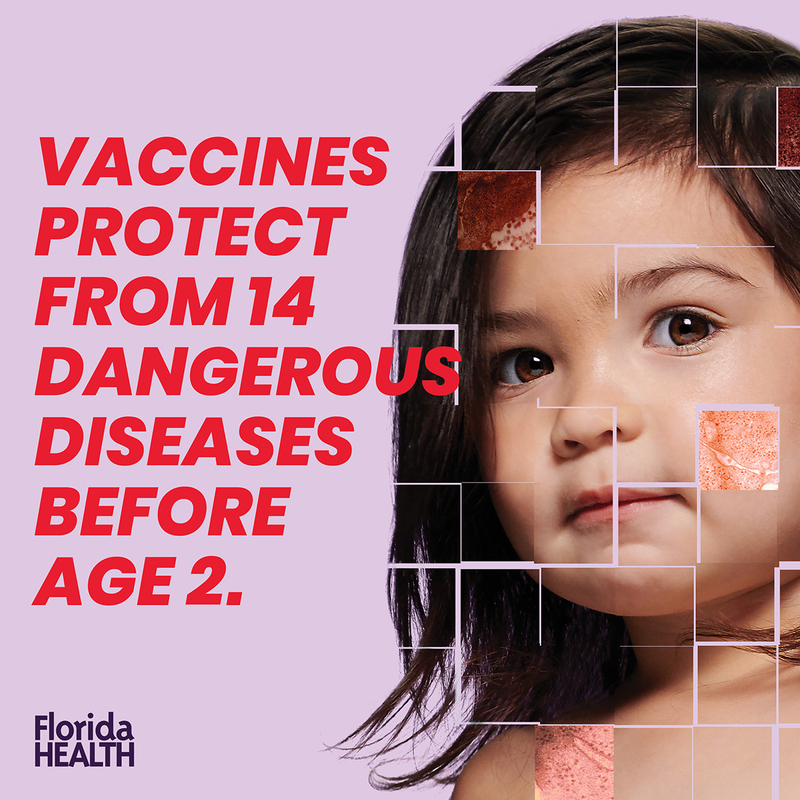 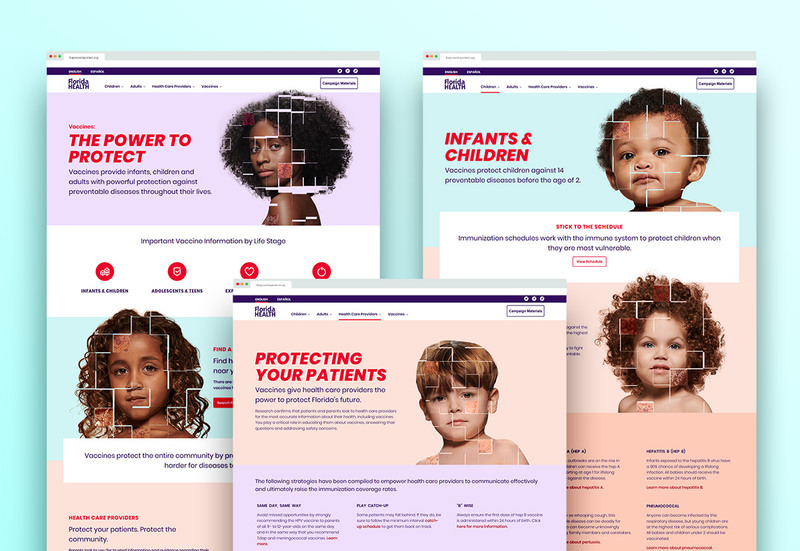 The Florida Department of Health wanted to increase awareness of the importance of vaccinations among pregnant women, parents/guardians, and healthcare providers across the state. 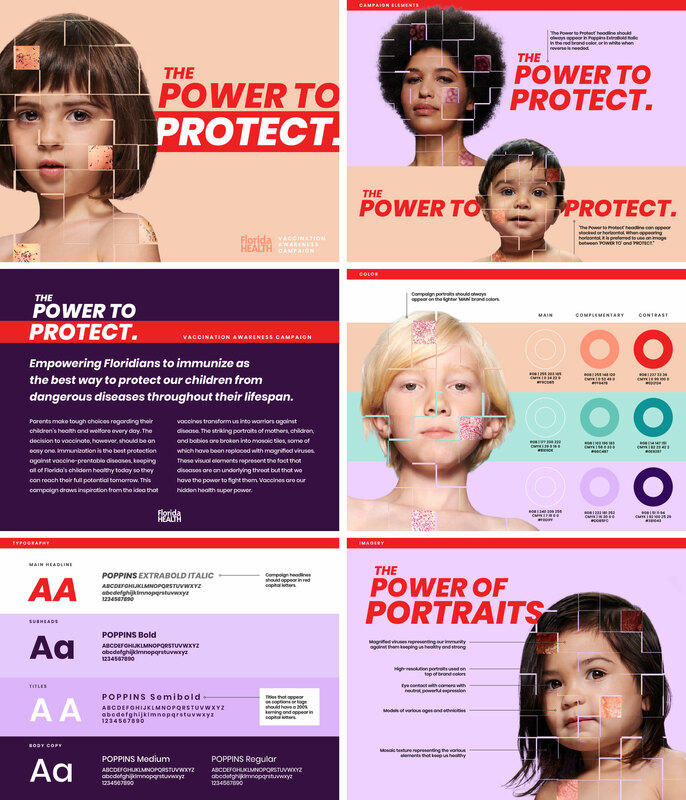 To curtail feelings of fear and uncertainty, we aimed to evoke strong emotion with a striking campaign, using a hard-hitting headline - "The Power to Protect" - alongside powerful custom portrait photography. 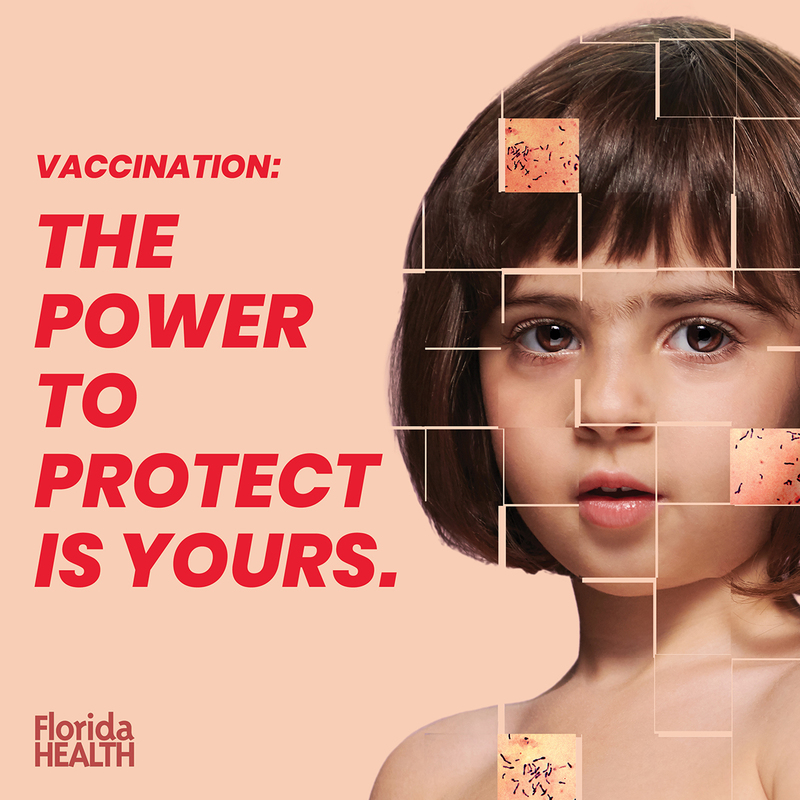 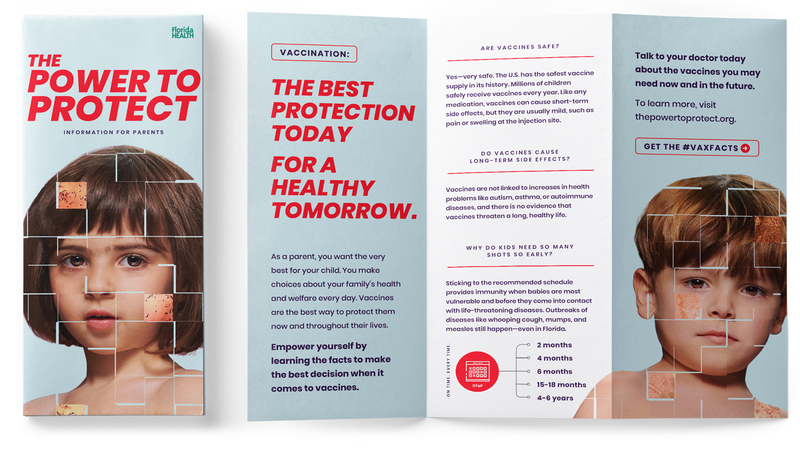 The Power to Protect is about empowering knowledge, prioritizing vaccination, and passing that protection on to our community and loved ones. 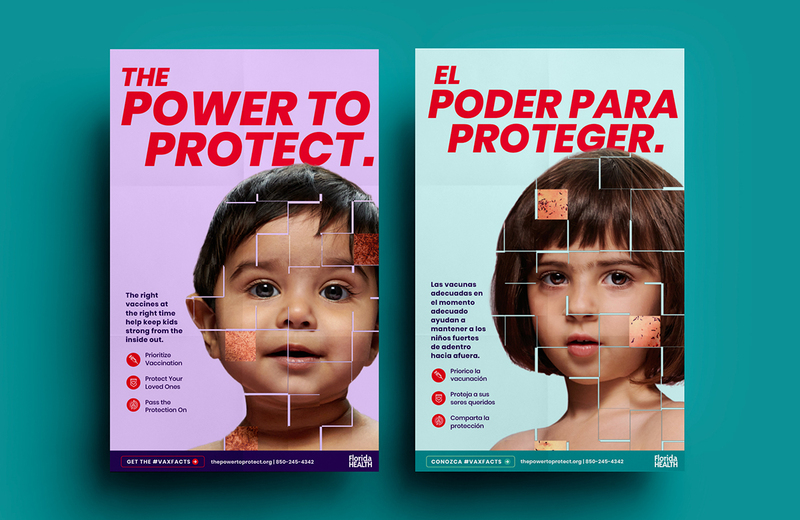 The portraits are broken into mosaic tiles, representing what makes people unique, and some of the tiles are replaced with magnified images of vaccine-preventable diseases, revealing how vaccines work beneath the surface. 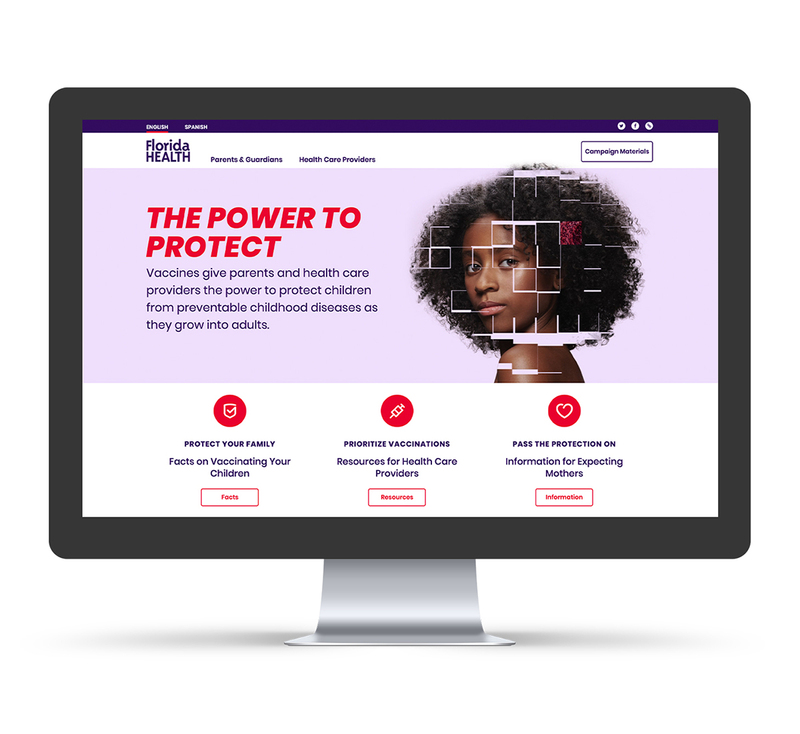 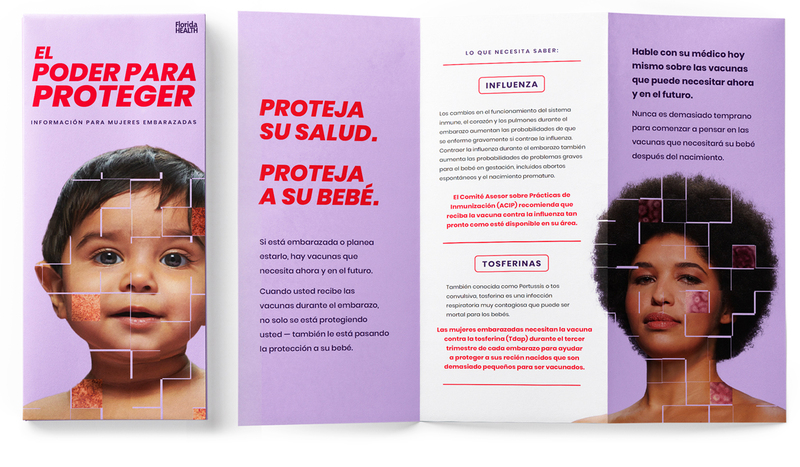 The campaign, launched in both English and Spanish, empowers parents and guardians to arm themselves with the knowledge they need to make the best choice for their children to protect them from harm throughout their entire lives.